The following is a request for trade advice I received by e-mail. It has been slightly edited for length and clarity. I don't think you're desperate enough for pitching to do this deal without Carl Crawford. But it may interest you to know that Carlos Lee and Adam Lind are much closer than most realize at this point. Unless there are salaries attached that I'm unaware of, these two players are virtually the same. Lind is probably a little bit better statistically but to a very small degree. He also plays in a better lineup which gives him superior runs/rbi totals. 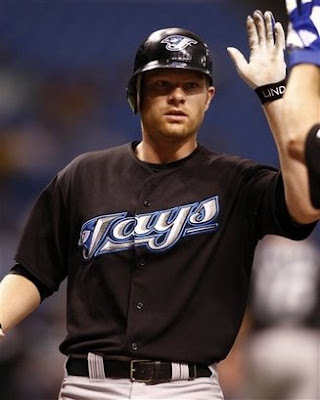 I do think Lind could hit a wall soon, but he seems to have the skills to adjust. I think he'll be a very good hitter for a long time. Edwin Jackson also compares very well to CC Sabathia this year. If Jackson played for the Yankees he would be on the verge of becoming a huge star. Trading Jackson for Sabathia would net you very little if anything. Since these two parts of the trade balance out so well the remainder of the deal becomes Fernando Rodney and Carl Pavano for David Ortiz. I believe that Ortiz will have a strong second half of the season and be a solid if not great player to own from this point. But you would be giving up a solid closer and a solid starter for a player that to this point has been nothing but disappointing. I think that price is too high. Even if you can afford to give up the saves and innings you'll get from Rodney and Pavano I don't see enough of a gain for you. A solid closer alone should bring you a solid veteran already having a good season. And as you mentioned, your pitching staff is already potentially very strong. You would be making this trade just to make it. Good luck Gary, let me know if I can help any further. Adam Lind has already adjusted to hitting a wall. He had an OPS of .933 in April and everyone assumed he had arrived. Then the OPS went to .786 in May and suddenly he was a guy that couldn't hang around. This month his OPS is 1.148 and he has already tagged more home runs than he had in either of the previous two months. That's not to say he won't hit a more prolonged drought somewhere along the line, but I think Lind is going to be a player. If anything, he's less susceptible to injury whereas Carlos Lee recently sat out games last weekend and sat out the entire month of September last year. I wouldn't trade Lind straight up for Carlos, but the overall deal makes it worthwhile. I guess it all depends on how much better than Lee you think Lind is. Or how confident you are in Ortiz coming back. Which is it for you?